Back in the days when the now-famous Ship Of Fools website was a print magazine thirty-odd years ago (aagh! ), it printed in Issue 3 (June 1979) this cartoon strip. I reproduce it below with permission from the editor, Simon Jenkins, and Ship Of Fools. How apposite this seems in the light of the Tony Anthony story. For those who have not heard, Anthony, an evangelist, had a book called ‘Taming the Tiger’ ghost-written by a journalist called Angela Little. Ever since its publication in 2004, some have been sceptical about claims Anthony makes in there about significant details of his life. Now, following the resignation of one of Anthony’s trustees, Mike Hancock, an investigation has indeed shown that large parts of the book are untrue. Journalist Gavin Drake has many of the details. The Evangelical Alliance and Avanti Ministries issued this statement. Ghost writer Angela Little revealed some possibly surprising approaches and attitudes to research and verification in a conversation with someone on a martial arts discussion board. The publisher, Authentic Media, have issued a statement, but it is hard to detect any sense of them taking any responsibility for the debacle in their words. But my purpose here is not to analyse this specific case. It isn’t hard to find those on the Internet who are doing so. The reason for posting this is to ask what kind of culture promotes the lust for spectacular testimony books, such as Anthony’s. I suggest there are at least two reasons. The first, briefly, is that evangelical Christianity is too obsessed with celebrity. And if we haven’t got any celebrities, we’ll make some. In this respect, we mindlessly accept the values of the world. I have no wish to decry those who genuinely have become disciples of Jesus Christ through a dramatic route. God bless them. But celebrities are not more valuable than the unknown. Indeed, we believe – surely? – in a Jesus who was and is on the side of the marginalised. In the early 1990s, Churches Together in England commissioned some work on conversion. It was published in 1992 by the British and Foreign Bible Society under the title ‘Finding Faith Today‘, and was authored by John Finney. 54% of the 601 Christians interviewed said they knew of a time when they were not Christians,46% had ‘always been Christians’. Of the former category, 38% spoke of a sudden conversion, and 62% gradual. Of the latter category, 80% had a gradual commitment, 20% sudden. Among evangelicals, it was as I reported: 37% sudden, 63% gradual. Among non-evangelicals, it was 80% gradual, 20% sudden. On average across all Christians, 31% had a datable conversion and 69% did not. So if datable conversions are a minority experience among Christians, then dramatic datable ones must be an even smaller percentage. And I therefore have to ask how helpful they are, when ordinary Christians feel demeaned by them. I think publishers are partly responsible, and need to rethink their policies. I also think the wider Christian culture is possible, because whatever we say about these contributing to evangelism, in reality they are often treated as Christian entertainment with a spiritual veneer. Why do we need super conversion stories to proclaim the gospel? Isn’t the gospel dramatic enough?? So – does an addiction to dramatic celebrity testimony indicate that we don’t really believe in the Gospel? It’s interesting we come to a passage about justice six days after the death of Margaret Thatcher. Did she uphold the rule of law for the sake of good order in society, or did she use the Police to batter ordinary working people? I’m not going to express an opinion on that debate. 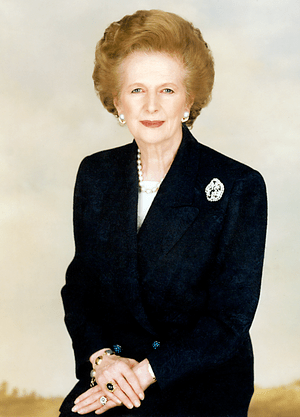 I have my views, and while I tend a certain way about Mrs T, my beliefs can’t be summed up in just a sentence or two. So we’ll look at the questions Qoheleth (‘The Preacher’) raises in this passage. We’ll have to take some of his answers further in order to set them in a New Testament context, but I couldn’t pick just one New Testament passage to complement this one, because there are a few we need to take into account. It all starts off rather well: obey ‘because you took an oath before God.’ Whether this is like an oath in a court of law, or whether it simply indicates that someone on principle has declared before God that they will obey the king, it is something that takes promises to God seriously. Those who make serious promises to God should keep their word. No-one should be frivolous about their vows to the Lord. If we are not going to keep a commitment to him, we should not say that we will. Now this has an indirect effect on a just society. Justice requires truth-tellers. Justice requires those committed to honesty. Whether you take an oath to God in court or simply make an affirmation because Jesus said ‘Let your yes be yes and your no be no’ in the Sermon on the Mount, false testimony leads to injustice. Ultimately, the New Testament has an even stronger reason for commending a general principle of obedience to the authorities. Paul describes it in Romans 13, where he says that the authorities are instituted by God for the purposes of justice. They are both to punish the wrongdoer and reward those who do right. This is seen by Paul as promoting a stable and healthy society. Now don’t you think it’s quite remarkable that a man of Paul’s experience should say such positive things about the state? He is someone who on more than one occasion suffered at the hands of the judiciary for the wrong reasons. He was arrested under false charges. He was thrown into prison on trumped-up charges. He was not always protected when he was attacked. Yet despite this, he still wrote about the basic need to submit to those in authority. I am sure that various questions are forming in your minds about this. One would be: how does this black and white language about rewarding the righteous and punishing the wrongdoer relate to Christian belief in forgiveness? Allow me to tell you a story. During my ministerial training, I celebrated my thirtieth birthday one Sunday. Another student and his wife invited me over to their flat for a wild celebration over … beans on toast. At the end of the evening, they offered to call a cab for me, but I declined. I felt I knew what I was doing as a city boy – and I didn’t want to shell out unnecessary money as a student. Big mistake. On the way back to the hall of residence where the single ministerial students lived, I was mugged by a young thug. The first thing he did was to smash my glasses, and he then compounded it by hitting me in the eyes. When I struggled back to the hall, one student phoned up my bank to cancel my plastic money, and another (who was a former solicitor) took me to the police station, and stayed with me into the early hours while I was interviewed and gave a statement. I am sure the young hooligan was known to the local community, but the police never made an arrest. I was asked at a later date whether I would have given evidence in court, had he been apprehended. I replied, ‘Yes, just so long as I was sure first that I had forgiven him in my heart.’ It is my conviction that we need to forgive for the sake of our hearts, and to uphold justice for the sake of a stable society. But there is another question Christians will pose about law-keeping, and it’s this. Do we really have to give our loyalty to an unjust government? How do we cope with Paul’s teaching in Romans 13 when obeying a government would put us into conflict with things we know elsewhere are God’s will? It is very clear that the South African government is a government which has not been appointed by God, and if God has appointed that government then he must be a very, very unjust God. Personally, I believe that God has nothing to do with the appointment of the apartheid government in South Africa. If I believed that God had appointed that government, then I should not be against apartheid. Mbeje’s words point, I believe, to the fact that Romans 13 is not the only word in the New Testament about our attitude to authority, just as the call to obey the king in Ecclesiastes 8 is not the only thing the Preacher says about the subject. As well as Romans 13, there is Revelation 13, where Rome is the Beast. They lead us to the second of the two themes in our reading, then, namely the imperfection of justice. In the rest of the chapter, we read about the wicked being praised (verse 10), delayed justice (verse 11), and some occasions where the wicked get what they deserve but others where what they deserve and what the righteous deserve get reversed (verses 12-14). No wonder nobody can make sense of this, he says (verses 16-17). And this is why I called this sermon ‘Justice and Meaninglessness’ on the sermon series outline. Things don’t always go as they should. We bring up our children on a ‘happy ever after’, people get what they deserve basis, where every story ends with goodness being praised and wrong being punished, but as we grow up we soon discover life doesn’t always cash out like that. 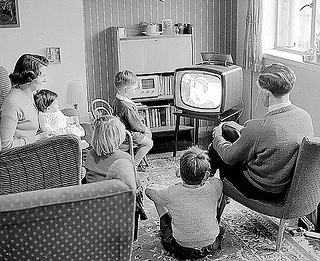 For me, I think it was watching an episode of the TV cop show ‘Softly, Softly’ which ended with the police not catching the criminal. I started to ask questions of my parents. How could it be? This was real life, they told me. And I’d be surprised if there were anyone here today who doesn’t recognise that. Life isn’t fair. The good don’t always win. Bad people get their way. How can this be? There is something else meaningless that occurs on earth: the righteous who get what the wicked deserve, and the wicked who get what the righteous deserve. This too, I say, is meaningless. 15 So I commend the enjoyment of life, because there is nothing better for a person under the sun than to eat and drink and be glad. Then joy will accompany them in their toil all the days of the life God has given them under the sun. Note that word ‘meaningless’ that keeps cropping up in Ecclesiastes. The failure of justice always to win can make life seem meaningless. It just seems like a counsel of despair. The commendation to enjoy life then becomes little more than ‘eat, drink and be merry, for tomorrow we die’. But I take you back to the beginning of this series. On the first Sunday of the series, which we introduced with an all age service, we also had an evening service where I looked at chapter 1 in more depth. I pointed out that the familiar words, ‘Meaningless, meaningless, all is meaningless’ in Ecclesiastes may better be translated, ‘Breath of breaths, everything is temporary’. If you plug that meaning in here, then actually we have words of hope. The failure of justice to prevail at all times is not meaningless, it is temporary. As Christians, we believe that a new world is coming, ushered in by resurrection and final judgement. The imperfections of justice are not for eternity. Sheep will be separated from goats. And you know what? This is an Easter theme. Paul in Romans 1 speaks about the Resurrection of Jesus as being God’s vindication of his Son. An injustice was done at the Cross. Throughout the Book of Acts, preachers such as Peter remind their hearers of that. But on Easter morning, God reversed the injustice. The world had said ‘no’ to his Son, but he said ‘yes’. It’s another case where the Easter event is a foretaste of all that is to come in the fullness of God’s kingdom. Let us remember that the imperfection of justice is temporary. That can spur us on to work for justice with a sense of hope. It is also, then, why the Preacher commends ‘the enjoyment of life’ to his hearers. The Christian can enjoy life, even in the midst of an unjust world. It isn’t a closing of deaf ears to the cries of the suffering. It isn’t a making the most of life before it all disappears. It is instead defiant laughter in the face of evil. Eating and drinking and being glad in the midst of our daily toil is one sign on our part that we believe a new world is coming, and that God has served notice to quit on the forces of darkness. Ship Of Fools, issue no. 8, December 1981, p 36. Church in Brisbane is singing “O Come O Come Immanuel”. Then the OHP screen shows verse 2: “And save us all from Santa’s tyranny”. The Archbishop of Canterbury has written a thoughtful piece in the Christmas double issue of Radio Times (some of which is reproduced here on his own site) where he takes on the way the Occupy movement has taken up the popular evangelical slogan, ‘What would Jesus do?’ (WWJD). Dr Williams points out that Jesus is often more about asking people questions than giving them answers, and when religion is like that, it is often at its most constructive. There is further background on the BBC website in a piece by Stephen Tomkins of Ship Of Fools. What do you think? How easy, possible or desirable is it to answer the WWJD question? My dear young man, don’t take it too hard. Your work is ingenious. It’s quality work. And there are simply too many notes, that’s all. Just cut a few and it will be perfect. A sermon topic like today’s runs that risk – too many notes. When we think about the Holy Spirit and mission, there is so much to say. Hence if I don’t cover your favourite theme within this strand today, I’m sorry. But don’t worry, I’m sure it will pop up elsewhere, either in this sermon series or at other times. So if you wanted to hear about the way the Holy Spirit goes ahead of us and prepares the way in mission – fear not, you’ll hear me talk about that on various occasions. If you wanted me to cover the use of spiritual gifts – well, they get their own billing later in the series. Excuse me, then, if I limit myself to the big themes here in Peter’s sermon on the Day of Pentecost. They will give us an outline, and on other occasions we can fill in some detail. 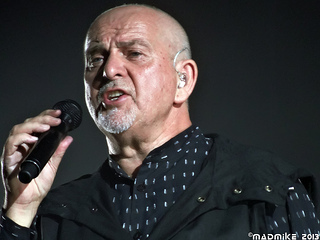 After all, you wouldn’t want a preacher with ‘too many notes’, would you? Here’s the first strand. At college, one of my friends had a well-worn T-shirt which reflected another 1980s film with a musical theme: The Blues Brothers. Ian’s T-shirt had the slogan from the film: ‘We’re on a mission from God.’ These days, Ian is respectable in the church, with a PhD and a job as a theological college principal! And the first part of Peter’s sermon shows that we all are on a mission from God when the Spirit comes. This is about the universal nature of the Spirit’s work in mission. The Spirit makes mission from all to all – from all in the church, to all in the world. All that talk about blood and fire, billows of smoke, the sun going dark and the moon like blood (verses 19-20)? It’s not a weather forecast! It’s dramatic language, underpinning the basic point that this work of the Spirit to use all God’s people to reach all people with God’s love in Christ is an earth-shattering, game-changing moment. This is a great ‘day of the Lord’ (verse 20) when ‘everyone who calls on the name of the Lord will be saved’ (verse 21), because God has poured out his Spirit on all people (verse 17), to the extent male and female, young and old, slaves as well as free will dream, have visions and prophesy (verses 17-18). Yes, all of God’s people are equipped to prophesy, to speak God’s message boldly. Well did one preacher say that the Bible doesn’t just teach the famous Reformation slogan of the priesthood of all believers, it teaches the prophethood of al believers. When you say that only certain ranks of people in the church are ‘good enough’ for certain tasks, you forget that God has poured out the Spirit on all his people for his mission. Granted, we each have distinct gifts, but the Spirit comes on all who profess faith in Christ, and one reason for that is we are all ordained. God ordains all of us into the work of his mission. Or, put it this way: we are not all evangelists, but we are all witnesses. We may not be able to explain and answer everything, but like a witness in a court case, we can all say what we have seen and what has happened to us. We can all talk about what Jesus has done for us. The Holy Spirit has come into our lives, and equipped us to do that. This is not a threat or a demand, it is a promise. It fulfils the promise Jesus made about the coming of the Spirit before his Ascension: ‘You will be my witnesses.’ That isn’t an order, it’s a promise. When the Spirit comes, we are all ordained into the universal mission of God’s saving love: from all, to all. The second strand in the Holy Spirit’s mission work here is this: it’s all about Jesus. For the rest of Peter’s sermon, he goes on and on about Jesus (verses 22-36). This is who he is. This is what he has done. This is how you have reacted to him so far. This is what you need to do about him. Jesus, Jesus, Jesus, Jesus. This amplifies what I’ve just said about us all being witnesses. Some of you may be familiar with a Christian website called Ship of Fools, a site which includes humorous sections such as Gadgets for God, featuring the latest in tacky Christian memorabilia, a Caption Competition, Signs and Blunders, through Mystery Worshipper reports on church service around the world, to serious discussion of pressing issues. Ship of Fools started life as a print magazine in the early 1980s. I know, because I was one of the subscribers. 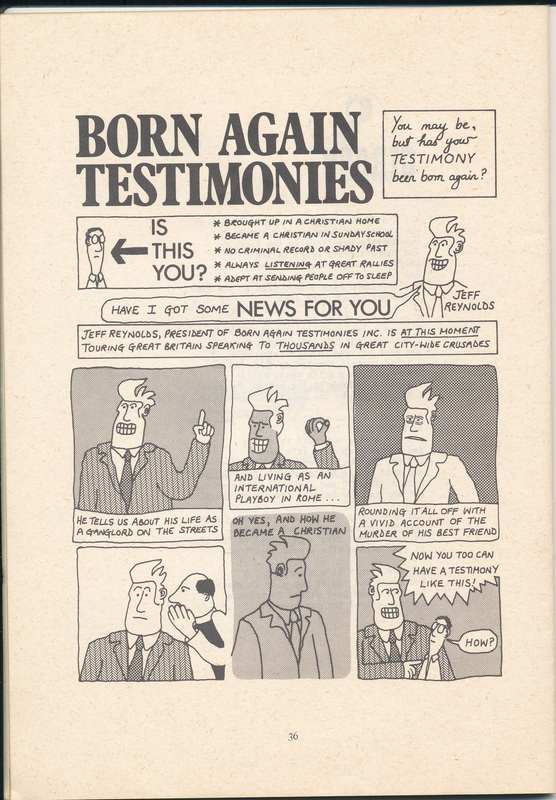 In one of those issues, they carried a cartoon strip article called ‘Born Again Testimonies’. 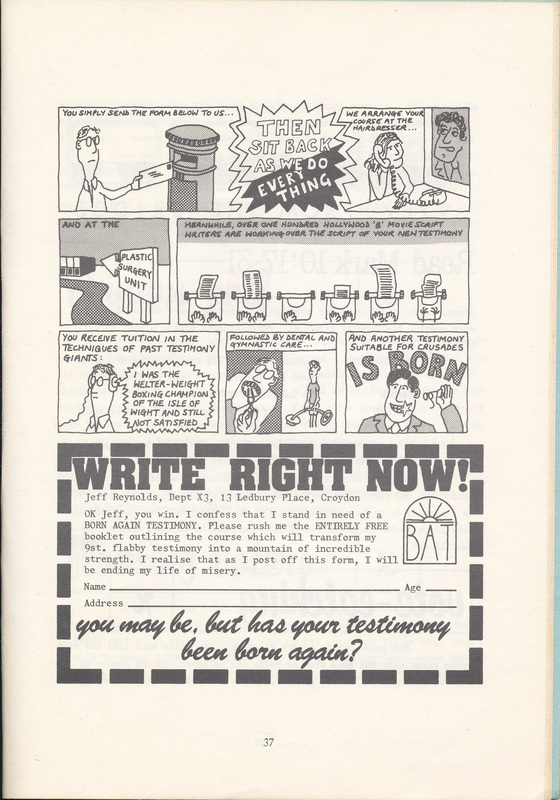 ‘You may be – but has your testimony been born again?’ the article asked. It depicted Christians who were discouraged that the story of their spiritual experience was not as dramatic and exciting as that commonly portrayed in Christian testimony books. It offered a rewriting of your story by Hollywood scriptwriters, plastic surgery, dental and gymnastic care, all to make you ready for the platform of an evangelist at a crusade. I suspect it touched a raw nerve, because it hit on a feeling I’ve noticed among regular churchgoers. “I don’t have a Damascus Road experience to talk about, so my testimony will count for nothing.” If you haven’t been a drug dealer, a bank robber or a celebrity, no-one will be interested in your story. However, as the great John Stott once put it, ‘Testimony is not autobiography.’ In other words, testimony is not my story, it’s not ‘me, me, me’, it’s the story of what Jesus has done in my life. Now again, you may think that unless what Jesus has done in your life is the religious equivalent of a fireworks spectacular, it may not be worth talking about. But we would be wrong. All that Peter describes about Jesus in this sermon – his ministry, his death, his resurrection, his Ascension and his sending of the Holy Spirit – all these things impact us. So what if in our lives it doesn’t come all-singing and all-dancing, complete with a laser light show? What matters is that we know Jesus has changed us – and is changing us. The majority of people live ordinary, unflashy lives, and so an ordinary, unflashy story of what Jesus means to us is every bit as likely, if not more so, to have an effect upon them. So – why not give it some thought? What has Jesus done for you? Reflect on it. There will be material from your life that you can share about the work of Jesus. that’s where the Holy Spirit wants to focus: on Jesus. We can co-operate with the Spirit by being willing to talk about Jesus and his work in our lives. The third and final strand of the Spirit’s work in mission that I want to draw out here has to do with the effect upon the listeners. What happens at the end of the sermon? What has the Holy Spirit done here? It’s what Jesus (as recorded in John’s Gospel) called ‘conviction of sin’. Conviction of sin is the third element in this passage of the Holy Spirit’s work in mission. Conviction of sin is when the Holy Spirit shows people how they are in the wrong before God – either generally or specifically – and calls them to change. In that respect, it’s different from that work of the enemy we call ‘condemnation’, which just says, “You’re a terrible person, you’re useless.” Condemnation leaves someone without hope. Conviction of sin is different, because it is specific, and there is a remedy that draws us to God, namely repentance. We know that coming to faith involves repentance in some form. Faith in Jesus Christ and following him entails changing our way of life. In all sorts of areas, we shall need to perform the spiritual version of a U-turn, to go Christ’s way. The Holy Spirit shows us what we need to change and renounce. By way of an aside, of course this is not something that happens just once at the beginning of the Christian life: it happens throughout, as the Holy Spirit patiently works to make us more Christlike. But let us note that it truly is the Holy Spirit who does the convicting. Peter has described the situation, and yes he has told the people that they and others were responsible for the crucifixion of Jesus (verses 23, 36), but it’s still the Spirit who cuts them to the heart. We have to be careful not to do the Holy Spirit’s work ourselves, but faithfully to share God’s love and truth and leave the Spirit to do the convicting. not own its own building. She had come to faith through an Alpha Course that church had run, and wanted to be baptised. However, she was living with her partner without being married to him. The church had not harangued her for this, even though they believed (and I do, too) that living together falls short of God’s vision for relationships. However, she felt it was not right for her to be baptised until her relationship was regularised. So I registered the wedding, and her pastor conducted the service. I believe it was the Holy Spirit who convicted her, and who led her to marriage before baptism. In fact, the wedding was at 11 o’clock, and she then went to another church building to be baptised at 12 o’clock! “Because then there would be nothing left,” was what he believed God replied. We don’t always know why the Spirit highlights certain issues in a person’s life but delays attending to others. What we do know is that coming to Christ involves the Spirit showing us where we need to change our ways in repentance, and that that begins a process that lasts the whole of our lives. In conclusion, then, the Holy Spirit enlists us for God’s mission in Jesus. The mission is for all people, and needs all God’s people, empowered by the Spirit, for it to flourish. That mission will focus not on us, but on Jesus. Our rôle is to tell the story of Jesus’ activity in our lives. And the Spirit draws people to follow Jesus through conviction of sin. All in all, then, the mission of God will not function without the primary work of the Holy Spirit. Never mind our plans, our campaigns, our techniques or what the latest book or conference speaker says. No Holy Spirit, no mission worthy of the name. Regular posting is still difficult, I’m afraid. My diary is choc-full and I can’t do much about it. Meantime, here is tomorrow’s sermon in the series on Jonah. One of the most popular British Christian websites is called ‘Ship Of Fools’. Its strapline is, ‘The magazine of Christian unrest’, because it once used to be … a magazine. And I was a subscriber during its short publishing life in the 1980s. ‘Laid on my heart.’ Yes, it’s a Christian cliché. As is much of our talk about ‘God’s heart for’ someone or something. But sometimes we can’t do better than this language. And I think our passage today is a case in point. It may not specifically talk about God’s heart for Jonah or Nineveh, but in religious shorthand, that’s what it’s about. Then the word of the LORD came to Jonah a second time. I’ve told that story to some people who find it quite dangerous. Clearly, if you get yourself too easily into a habit of saying ‘no’ to God, you will harden your heart and close down the possibilities of ever hearing from him. But if you do it on the basis that God doesn’t just give us one shot at knowing his will but is prepared to speak to us again and again, then there is a real chance that my friend’s advice has some wisdom. Remember, after all, the young Samuel who struggled to recognise that it was God who was calling him. It took three times before he realised it was God, and that was with the help of the highly fallible priest Eli. Of course, Jonah is different from Samuel. Jonah knew what God had said first time, and deliberately chose to disobey. Samuel just needed to get tuned into the voice of God. But take some good news from God speaking a second time to Jonah. What are your regrets in the life of faith? Do you believe God can speak to you again? Because he can. What opportunities have you missed for him? Do you realise that he hasn’t thrown you off the team for those mistakes? He is working at creating new openings where you can serve him. But more than that: are you aware that there are areas of your life where you have significantly let down God, because you deliberately chose the path of disobedience and sin? Have you felt since then that the best you can do hope for is to hang around on the fringes of the church, but never have a hope of doing anything worthwhile for him again? The story of Jonah encourages you to see that God’s heart for you is very different. Jonah obeyed the word of the LORD and went to Nineveh. When you realise just how full of grace God is for you in Jesus Christ, the only option that makes sense is to respond in obedience. God’s grace is not only about his forgiveness of our sins: his mercy extends further than that, to the granting of second chances. If you are hearing God give you a second opportunity after an earlier failure, then let that grace stimulate your heart to grab the new chance with both hands. God has a heart of grace – of second chance grace – for you. Do you have a heart of gratitude for him and for his purposes? Forty more days. If God simply wanted to destroy these wicked sinners, then why the forty days? The patience of God is evident here. Through Jonah, he gives them time to hear the message and respond. Again, it’s not simply a case that if you don’t grab the message at the first opportunity that’s your lot, you’re fried. It is always good to respond to the voice of God when you hear it. But such is the heart of compassion that God has for sinful human beings that his grace extends beyond the immediate, the instant, the now. If you listen to the stories of how many people come to faith, a common pattern is that a whole series of events and conversations happened over a period of time to draw them to Christ. And in a time when people know the basics of Christian faith far less than in earlier generations, we can more and more expect the journey to faith often to be a long, and even a slow one. But this is God’s heart: it is one of patient, loving persistent for those who are lost from his love. So again, we ask the question: do we share God’s heart? The call to mission is a call to be involved with people for the long term. I am not criticising special missions and mission events, because they have their place. But what we cannot do is use occasional short campaigns and think we have then discharged our responsibility to share the love of God with the community, run back over the Christian drawbridge, pull it up and huddle together until the next occasion in a few years’ time. If we share God’s heart for those who do not know him, we shall commit to long term engagement with such people. ‘Hit and run’ won’t do: God engages for the long term with people. Will we? For look what happens when we examine Nineveh’s heart for God. When they receive the message of the holy God who is nevertheless patient with them and full of compassion, they respond just as Israel, the people of God did in repentance – with sackcloth and fasting (verse 5). When it comes down to it, they’re just human beings – human beings loved by God – not enemies to be stereotyped. If they can respond like this, don’t we owe it to them to treat them with dignity and love? In fact, there is a totality of response to God. Even the animals are involved (verse 7). The Persian custom was that animals shared in mourning ceremonies. Here, then, it indicates just how thorough the response to God’s message through Jonah is. It’s something underlined when the king appears in the story (verse 6). He calls the people to do more than indulge in the ritual of sackcloth and fasting (verses 7b-8a), but to match the ritual acts with changed behaviour. He calls people to ‘give up their evil ways and their violence’ (verse 8b). Now that’s interesting. Not just their general ‘evil ways’ but specifically their ‘violence’. Calls to repentance are specific. The Holy Spirit does not simply leave people with a general feeling of condemnation, just telling them they are useless and worthless. That voice comes from the enemy, who wishes to reduce us to utter despair. Instead, the Holy Spirit puts a finger on something specific and says, ‘This is what you need to leave behind.’ Violence is a pretty good specific sin for Nineveh, the capital of Assyria, which was known for its aggressive behaviour. They know what they have done wrong, and they turn from it. Zaccheus knew he had to turn away from his greed and exploitation. Those with a heart to turn to God will know that it is God’s kindness that leads us to repentance, and therefore any turning will be specific. It also means that when we are involved in mission, our prayer is that the Holy Spirit will show people the specific actions they need to take in order to be right with God. Sometimes the Spirit uses our voices to tell them (although we have to be careful not to sound harsh or judgmental), and sometimes the Spirit does it by a direct whisper into their hearts. But whatever means God chooses, this will be one inevitable consequence of meeting Christ at the Cross. As Christians we want to respond with more than a ‘Who knows?’ We want to say more than that ‘God may relent’, but without sounding presumptuous. It is our privilege as bearers of the Gospel to promise the Good News of a God who will relent from judgment when repentant people turn to him through Jesus Christ. That’s what we read he does here in the final verse of the chapter. As the sailors in chapter 1 received mercy in the storm and as Jonah received mercy from drowning via the big fish in chapter 2, so here the citizens of Nineveh receive mercy from what their sins of violence deserve. The book of Jonah keeps before us the vision of the God who is extravagant in mercy and outrageous in grace. A good friend of mine is an Anglican vicar. However, some years ago he left parish ministry to work with an evangelistic organisation. Not only is he involved in special weeks of missions with churches and areas of the country, he is also involved with the community in the village where he and his family live in the Fens. He regularly emails me his prayer letter. He doesn’t see as many conversions to Christ as I am sure he would like to, but when he does, you can feel the joy as he writes about them. He has a heart for the God who has a heart for him and for the world. I mean, you wouldn’t resent other people coming to share in the same privileges of the Gospel as you know, would you? It would be absurd. I had been asked to join a new group. Oh all right then, committee. Yesterday afternoon was my first meeting. I had the address. It wasn’t in a part of town I knew well, but I looked it up and planned my route. I’m a big boy, after all. It took ages to find a parking space that wasn’t in a residents-only zone. Then I had trouble finding the house: it was hidden away behind others on the road. By this time, I was five minutes late. I knocked on the door. No answer. I banged more loudly. Still nothing. Yet there were cars parked at the house. It was also a house with a name as well as a number, so I was doubly sure I was at the right address. Nothing. I came home and sent an email to the chair of the committee. He rang later, profusely apologetic. He’s a decent guy, and I expect the other committee members are, too. I didn’t harangue him in the phone conversation or the email. Nobody had thought to give me the additional instructions I needed. It turned out they were meeting in an outhouse at the address. I would never have guessed. It gave me a little bit of ‘outsider’ experience – something we could do with encountering as regular church people. In the evening, we had our Circuit Meeting and discussed a Circuit Review of us that had been written by a District officer. We noted how many churches generally think they are good at welcoming, although a few observe that they can’t get people to stay or to integrate after the warm welcome. Have we lost the sense of what it feels like to be an outsider or newcomer, because we’ve all been involved in church for so long? Various suggestions came at the Circuit Meeting. We facetiously thought of the Ship Of Fools Mystery Worshipper. We thought that people who would not be widely recognised in the circuit might go from one church to another and see what kind of reception they had. I’m sure there are other good ideas, too. Maybe you have some that you’d like to post in the comments. But it struck me all the more how many of us have lost the sense of just how unfamiliar, alien, even dangerous and scary it feels to non-Christians to cross the threshold of a church building. If you talk to visitors at one of those declining events, a church wedding or baptism, notice their discomfort and fear. There are things we can do in order to be more hospitable, and they are good. But even that is not enough. That still assumes an ‘attractional’ model where our initial goal in mission is to get ‘them’ to come to ‘us’. I believe there is all the more argument here for the missional approach as well, where we Christians are the ones who take the risk of going onto unfamiliar territory where those with whom we wish to share God’s love are comfortable. Of course, that levers up the fear factor higher than it already is among many churchgoers, who are so nervous of talking about their faith that they only place they might remotely do it is on church premises. But this is the cost we must pay for the sake of God’s mission. How much does God love the world? How much does God love us? How much will we love? According to Reuters an Indian bridegroom had to take his wedding vows by mobile phone when floods preventing him reaching the location of the ceremony. So how close do we have to be to someone for it to be personal? Conversely, how far away do we have to be from someone to break the sense of personal connection? What barriers are acceptable, because we don’t perceive them so much a barriers as mediators? Theologically, what constitutes community and incarnation?